For a stylish and strong protection, choose the Samsung J6 personalised case. Make your own Samsung J6 case in no time thanks to our easy-to-use customizer. 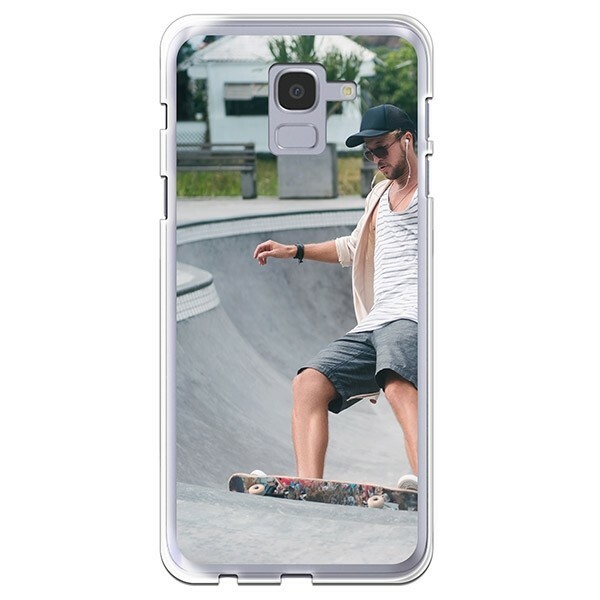 Design your own Samsung J6 case with your most awesome picture. Why get your own personalised phone case? Designed to be comfortable in the palm of your hands, the Samsung Galaxy J6 also deserves to be protected effectively. You can, of course, choose the colour of your device but with a Samsung J6 personalised case, you can get your favourite picture printed on the case to give your phone unique and stylish protection that stands out. The Samsung Galaxy J6 displays an edge to edge Infinity Display with a 5.6 inches HD+ Super AMOLED screen allowing a more immersive viewing experience. Hence with the personalised hard case, it won't make your phone feel bulkier. It has been designed to fit perfectly to your device so you will be able to have unrestricted use the screen, as well as the buttons and the ports without any problem. So don't hesitate anymore and make your own Samsung J6 personalised case. It is made for you. How to design your own Samsung J6 personalised case? No need to be an incredibly skilled designer! We have put our user-friendly customizer at your disposal so you can make your own phone case very quickly and easily. How does it work? First, upload your picture. You can do it from one of your social media accounts, your computer or even your phone. Then pick a layout, you can change the grid if you want to add more pictures and make a collage. In need of inspiration? No problem! 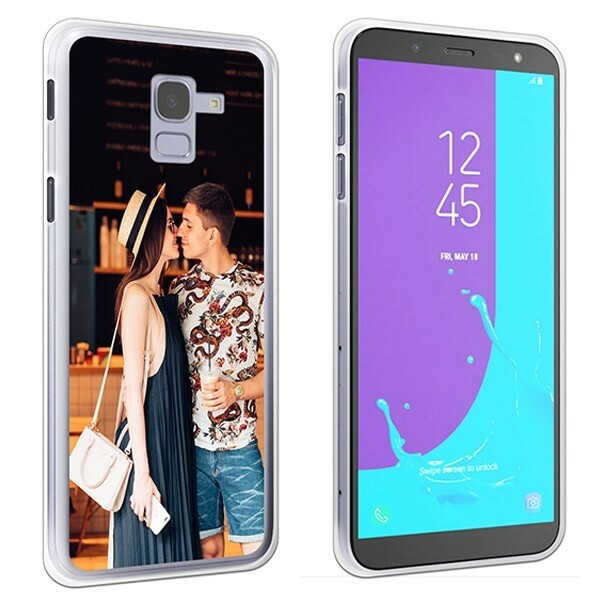 You can choose our pre-made designs and templates to design your own Samsung J6 personalised case. Once you are done, add a text, some stickers or a filter at your convenience and that's it! I'm done with designing my personalised phone case, what next? Once you have double checked the design of your Samsung J6 personalised case and your information details, no need to worry about anything, we've got you covered! We will print and ship your item within 24 hours. 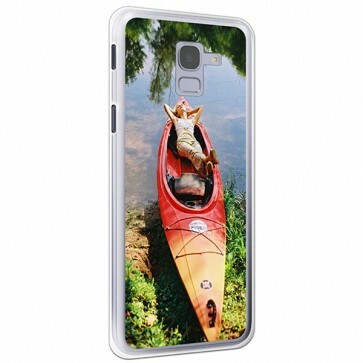 Our printing specialist team will pay careful attention to the print of your Samsung J6 personalised case so you will receive it exactly as you have personalised it. Not sure if our serviced are right for you? Then you can read our "Frequently Asked Questions" section or you can directly contact us at support@gocustomized.co.uk. We will be very happy to help you!